It's that time of year for new projects, new learning, new friends to gather with. This week, we invite to you some new offerings at the quilt shop. Embroidery Club with Flora. This year we're taking on a whole new adventure. 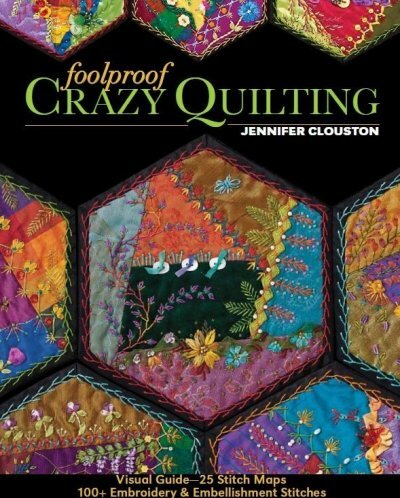 Crazy Quilting on hexagon foundations inspired by the new book by Jennifer Clouston. Come Tuesday, Noon-3p and see how you can stretch yourself with embroidery this year. That wonderful hand stitching on glorious foundations using ribbon, floss and more. Later this week, we welcome Joyce to the shop on Friday to demonstrate applique by hand. You might know Joyce as she has been a part of the applique scene locally for quite some time now, but we are so excited to have her be a part of our teaching crew here at the quilt shop. That's Friday Noon-3p for Appllique, by hand. 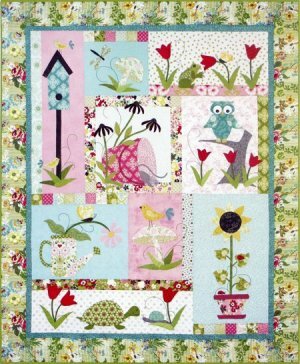 Take a Modern Quilt Pattern like this Tuella and Friends quilt and enjoy the applique in each block. Watch Joyce take a great pattern and add that quarter inch to applique. Learn more about Applique Club forming at the Quilt Shop. Fridays. 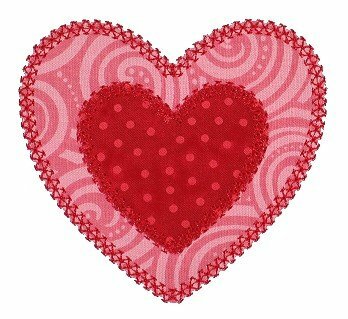 Saturday, Nancy will be here to help you with your fusible applique. Watch Nancy demonstrate the fine art of fusible applique using the buttonhole stitch. Saturday Morning at 10-Noon. Show off your Downton. Are you having fun with Downton Abbey? Show what you've been doing with it and we'll show you our ideas too. 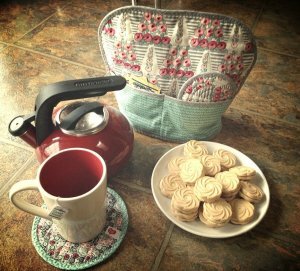 Aprons, tea cozy's, napkins and more. It's a Downton Show and Tell. Our January White Sale starts Thursday. Stay tuned. 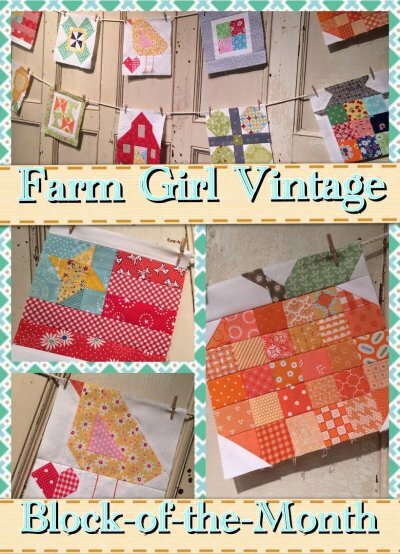 Space Available for Farm Girl Vintage. Sign up today and be a farm girl. Lot's happening at the Quilt Shop.